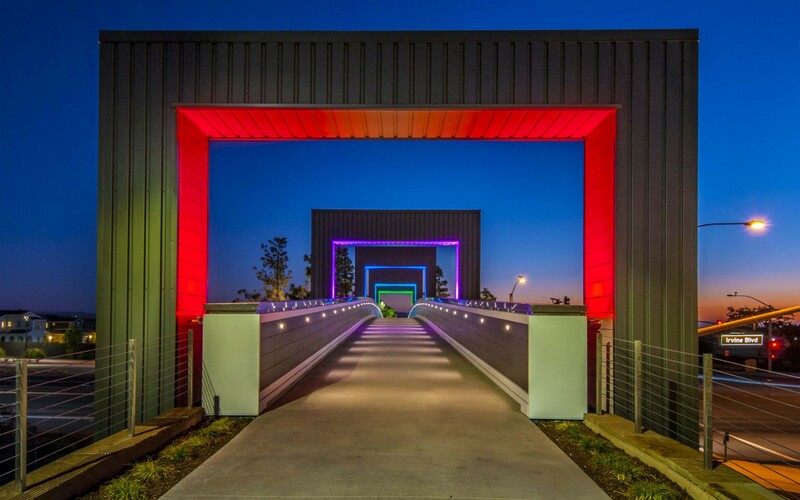 Lumenfacade luminaires turn a newly iconic pedestrian bridge into a safe, functional destination. 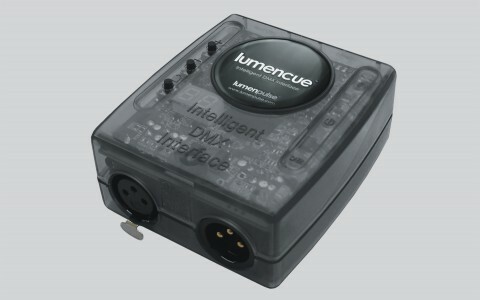 The simple configuration of the Lumencue controller lets us “set it and forget it,” it was nice to leave the client with the peace of mind of knowing they’d not have to constantly adjust the luminaires and their consignments. The city of Irvine, located in Orange County, California, prides itself on being the safest city in the United States. 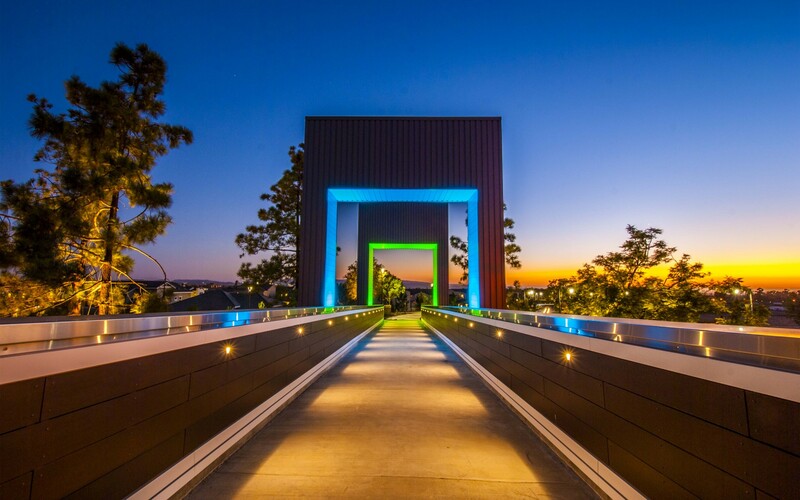 The Irvine Pedestrian Bridge, which strides overtop of Irvine Boulevard, was designed with safety and functionality in mind while still embracing an exciting, eye-catching aesthetic. 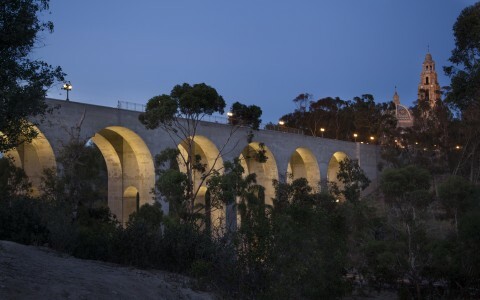 The bridge itself has become a site of interest for local residence while uniting two family-oriented neighborhoods with an extensive park and trail system and providing an encouraging, unique gateway into the recreational hub of Irvine's Great Park. 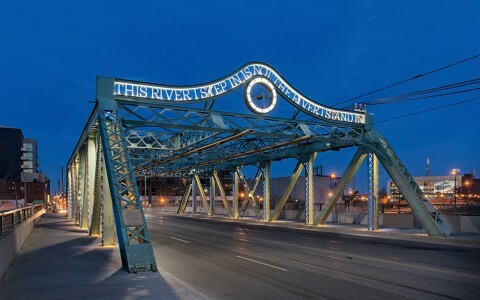 Architects Ware Malcomb created a bridge that expounds the virtues of the city's legacy of safety. 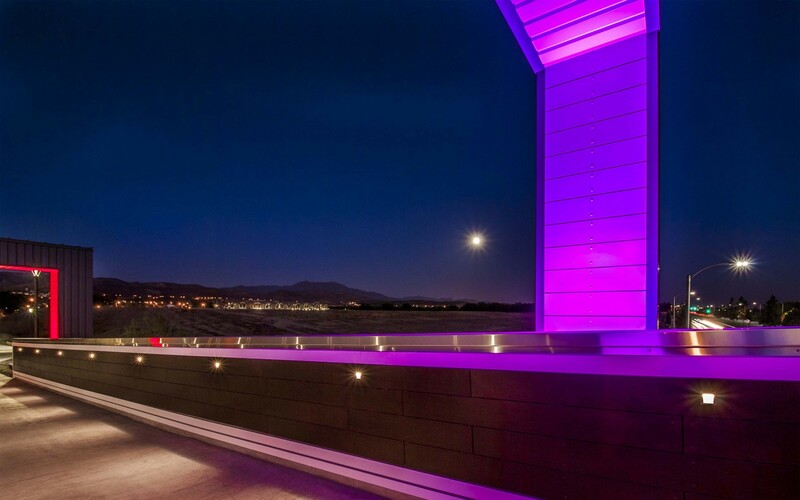 To heighten the bridge's appeal and to add to its welcoming design, the Studio K1 team provided a lighting scheme which has turned the bridge into a glowing beacon for its users. 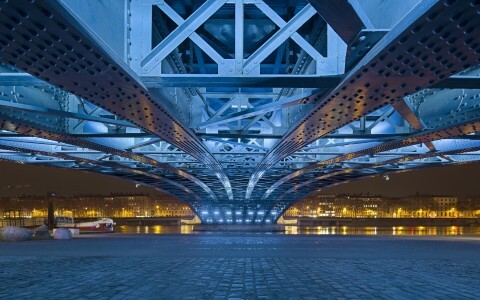 "Our goal was to accentuate the bridge to highlight it as a unique structure unlike the usual, steel bridges found elsewhere" said Brad Nelson, Senior Associate with Studio K1. 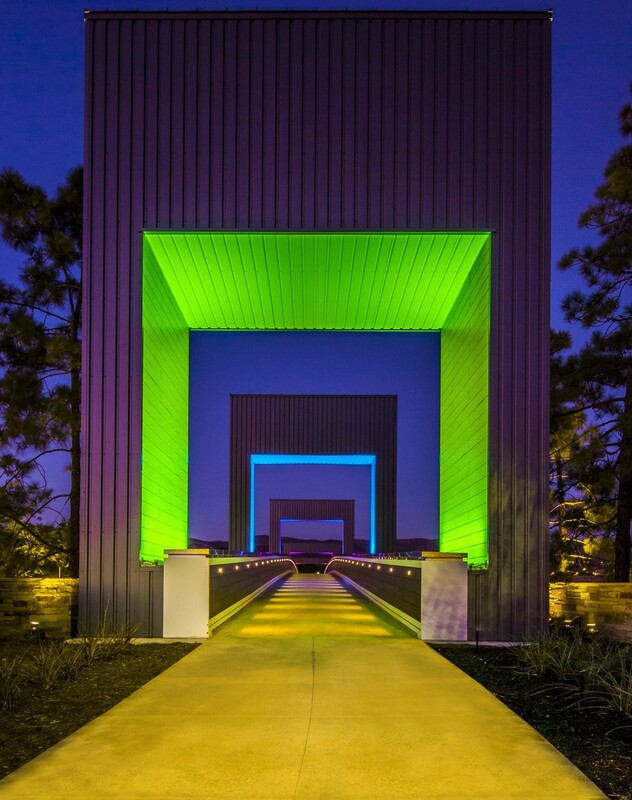 The lighting design strategically placed Lumenpulse Lumenfacade luminaires to illuminate the grand vertical gateways, the overarching supports along the bridge, to guide joggers, cyclists, and walkers along the bridge's pathway. 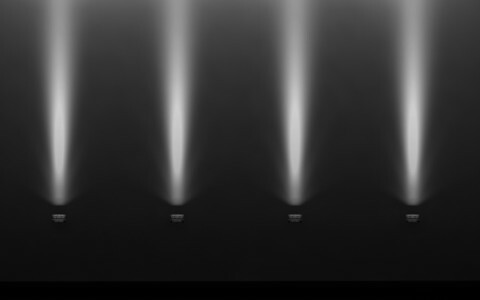 "We used Lumenfacades of varying lengths to wash the gateways" said Nelson, "We were instantly impressed with the optics, color-changing capabilities and the inputs of the Lumenfacades, which allowed for easy end-to-end configurations. 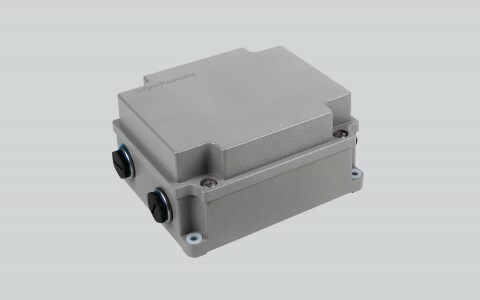 This let us create longer runs of the luminaires" adds Nelson. 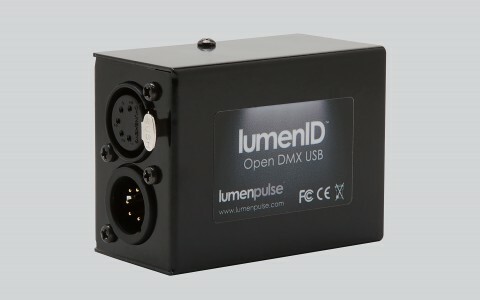 "The Lumenfacade luminaires require little to no maintenance, which was an attractive feature to the client. 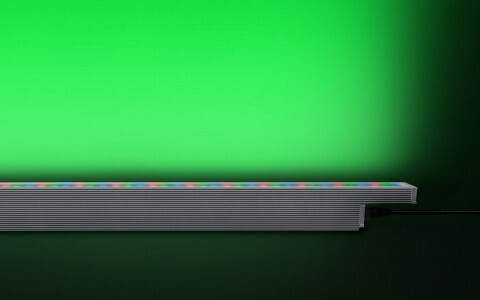 The simple configuration of the Lumencue controller lets us "set it and forget it," it was nice to leave the client with the peace of mind of knowing they'd not have to constantly adjust the luminaires and their consignments" said Nelson. 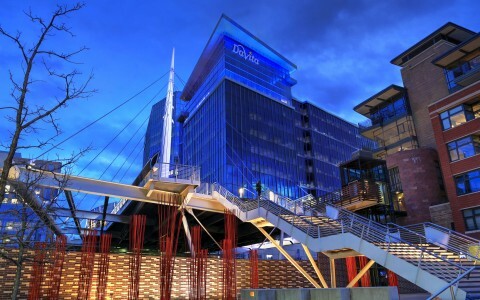 The color-changing Lumenfacades gave the client, FivePoint Development, the freedom to adjust the bridges colors to celebrate seasonal holidays and events. 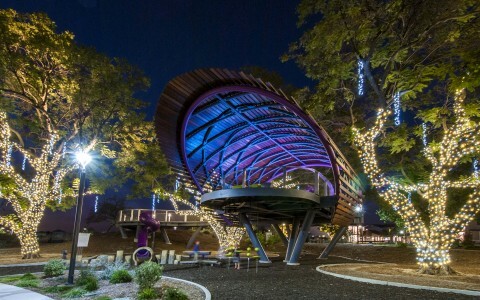 The Studio K1 lighting design has piqued the imaginations of the communities surrounding the pedestrian bridge but it has also impacted the larger lighting design world as well. In 2017, Studio K1's design received an IES Award of Excellence. 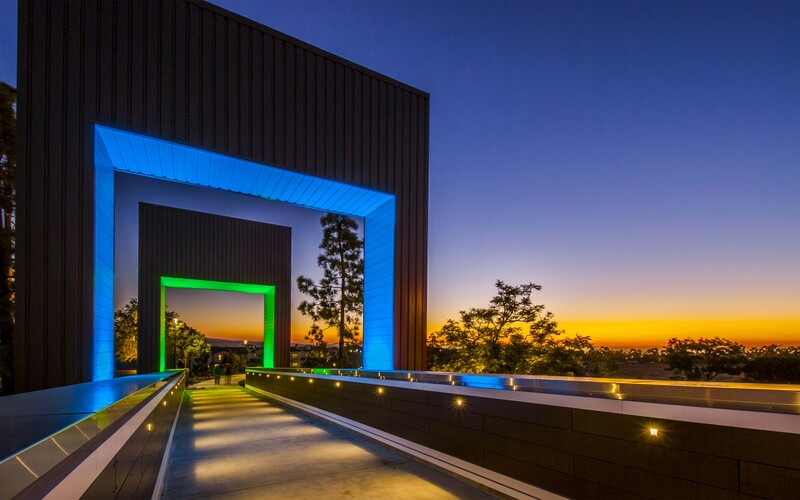 The Irvine Pedestrian Bridge is a safe connector between communities that alleviates traffic concerns and the simple, elegant, and fun lighting scheme has helped turn the bridge into an iconic element that sets the city apart in a unique fashion.